The midwife will carry out ante–natal checks both at home or at the clinic at the surgery every Monday afternoon. She visits new mothers at home in the first fortnight and she can be contacted via Wexham Park ante/post–natal wards. Regular check-ups are essential and we aim to provide a comprehensive well woman check–up which includes cervical smears, breast awareness teaching, mammography advice, blood pressure, weight and urine checks. 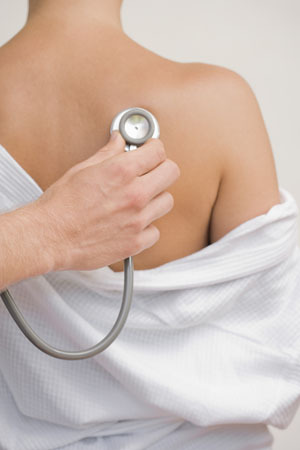 Regular check-ups are essential. Weight, blood pressure and urine can all be checked by appointment with the nurse. A reminder of the date the immunisation is due will be sent out by the Health Authority. When you receive this please ring the surgery for an appointment with Sarah Carbonaro. The baby's first immunisations are generally carried out at their 8 week check. A Health Visitor clinic is held on a Tuesday or on a Thursday afternoon at Cox Green Community Centre. No appointment is necessary. We provide most of the common vaccines and rabies and up to the minute information on all travel medical needs. There is a charge for his service. If you telephone the surgery between 12.15 and 13.15 week days, you will be able to speak to one of our Practice Nurses who will be happy to discuss this with you and make any necessary appointments. See the above tab for more information. Sarah Carbonaro,Practice Nurse will see patients with asthma to review their condition, this is by appointment ( 20 minutes). This is run by Lynn Pucill, our diabetic nurse. Clinics are by appointment only and Lynn organises this. The routine recall for 50–65yr olds is 5 years and for 25–50 yr olds it is 3 years. You will be sent a reminder. Please make an appointment (20mins) with the Practice Nurse. We also have a Phlebotomist here Tuesday, Thursday and alternate Wednesday/Friday mornings to do blood tests at the clinicians request and blood pressures. This is by appointment only. If it is urgent you will be fitted in with a Practice Nurse or you will be advised to go to St Marks Phlebotomy Clinics open every morning.